The Kenwood Broncos led by a Tamara Nard double-double rallied from an eight-point first quarter deficit to advance to the Girls Platinum semifinals. Trailing 9-1 at the end of the first quarter, the Chicago team fought back to tie the game at 17 by halftime before the Broncos worked their way to their biggest lead of afternoon of 31-26 early in the fourth quarter. Jamia Shoefield would make a shot in the lane, but miss a free throw with 55 seconds remaining to get the Lady Panthers within one point. Alexius Horne grabbed a loose ball with 17.4 seconds remaining to give the Lady Panthers one last shot, but the last second effort was no good. Kenwood plays John Curtis for the Girls Platinum Championship on Saturday. at 5:00 p.m.
Loranger plays Loranger for third place on Saturday at 2:00 p.m.
John Curtis led from start to finish as the Patriots used a stifling defense forcing 11 first half turnovers , and scored multiple fast break layups during a 16-0 run on the way to a 25-point halftime lead. Loranger fought hard coming out of halftime, outscoring the Patriots 19-8 in the third quarter, but could get no closer as the John Curtis would play methodical basketball and bleed the clock to advance to the Girls Platinum Championship against Kenwood of Chicago tomorrow evening. Lady Patriot Dynah Jones led all scorers with 20 points. “We worked hard on defense and it turned into turnovers which created points early. We are not a big team so we have to work hard and have everyone rebound and block out. Kenwood is long, athletic, quick and they hit the boards hard,” Farris said. “We know we will have to play our best to win. We are looking forward to the challenge.” – John Curtis Head Coach Barbara Farris. John Curtis plays Kenwood for the Girls Platinum Championship on Saturday. at 5:00 p.m.
McKinley plays McKinley for third place on Saturday at 2:00 p.m. The battle of the Rebels and Railsplitters did not disappoint as Riverside won an instant classic in double overtime to advance to the finals tomorrow afternoon. Riverside used a big second quarter by guards Kash Foley and Bigham to turn a six-point first quarter deficit into a nine point halftime lead over the defending State Champions from Brooklyn. The Railsplitters came out of the break with renewed intensity and eventually tied the contest at 44 with just over a minute to go in the third quarter, before taking their first lead since the first quarter on a short jumper from Curtis Gordon capping an 8-0 run to end the third. Entering the fourth quarter tied at 46, both teams turned up the intensity on defense ever further, but a quick 4-0 spurt by junior guard Bigham, and a pair of free throws by Jared Butler gave the Rebels a 52-49 lead with 5:11 to play in the game. Lincoln’s Terrance Roberts three-pointer would hit the rim, but fall in to tie the game at 52 with under four minutes left in the contest. The teams would trade baskets and leads on the next three possessions. Following a Riverside time out with 1:29 remaining, the Railsplitters threw the ball out of bounds giving the Rebels the ball with the score tied at 57. Butler drew a pair of fouls in the final minute but missed both of his free throws that would have given the Rebels the lead. The game headed to overtime tied at 57. Butler opened the scoring with a reverse layup, but John Wilson answered with another three from the right corner to tie the game at 60. Following a technical foul on Lincoln’s Gordon with 2:03 to play Butler would make one of two free throws, and a spinning layup to extend the Rebel lead to five with 1:35 to seconds to play. Terrence Roberts’ offensive rebound and putback would trim the Rebel lead to three with 34 seconds to play, and after Riverside’s Garland Robertson could make only one of two at the line, Gordan would drive for an uncontested layup to cut the score to 66-64 with 14 seconds to play in the first overtime period..
A turnover and then foul by Bigham would send KC Ndefo to the line with a chance to win the game with 5 seconds left, but he missed both free throws before another foul by Bigham would send Gordon to the free throw line with 1.6 seconds remaining. Gordon sank both free throws to send the game to double overtime. A run through steal, and fast break layup by Robertson would draw the fifth personal foul on Curtis Gordon. Roberson made the free throw giving the Rebels a 69-67 lead. Another pair of free throws by Butler, this time following a foul on Jasiah Lewis would extend that lead to four points with two minutes remaining in double overtime. With just over a minute left Lewis would make up for it, draining a heavily contested right corner three to cut the lead to a single point. A pair of three throws by Roberson and then a fast break layup by Bigham would seal the deal in arguably the best game ever played in this tournament’s eight year history. 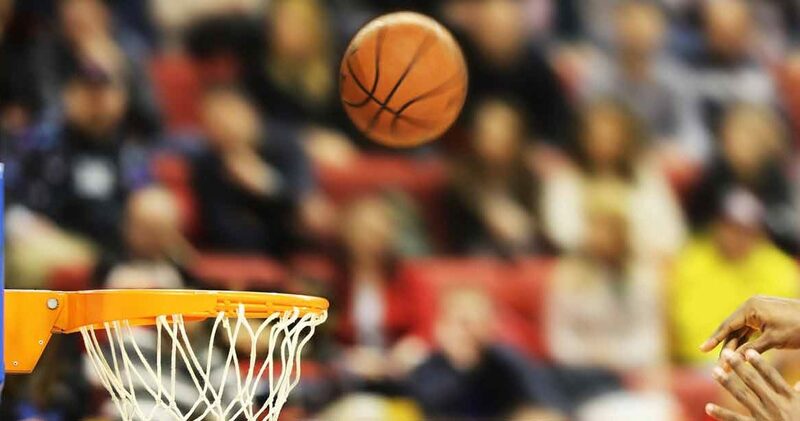 Riverside plays Edna Karr for the Boys Championship on Saturday at 3:30 p.m..
Lincoln (N.Y.) plays Osceola (Fla.) for third place on Saturday at 12:30 p.m.
Edna Karr advanced to the Boys Championship Game with a two-point victory over the Osceola Kowboys setting up an all South Louisiana final on Saturday afternoon. The Cougars pounced on the Cowboys early in the third quarter, using a 19-8 run capped by a Marc Bowie jumper to force a Kowboy time out with 1:32 left in the third quarter giving the Cougars their largest lead of the night at 34-25. Jadukiss Soto buried a three point shot to draw Osceola within six points and draw a Cougar time out with 4:29 to play in the game. Back-to-back turnovers by the Cougars led to a scoop layup by Darian Espinal and deep three by Josh Marte to cut the lead to 50-49. Bowie would answer, driving down the court and converting a three-point play to bring the Cougar lead back to four with 1:43 to play, two possessions later a two-handed dunk by Bowie extended that lead to six with 50 seconds left. Josh Martre hit a pair of triples from Steph Curry range to cut it to 48-47 with 6.8 seconds left. After Myron Green made one of two three throws, a half court heave by the Kowboys went off the backboard as time expired, sealing the 49-47 victory for Edna Karr. Edna Karr plays Riverside for the Boys Championship on Saturday at 3:30 p.m.
Osceola (Fla.) plays the Lincoln (N.Y) for third place on Saturday at 12:30 p.m.